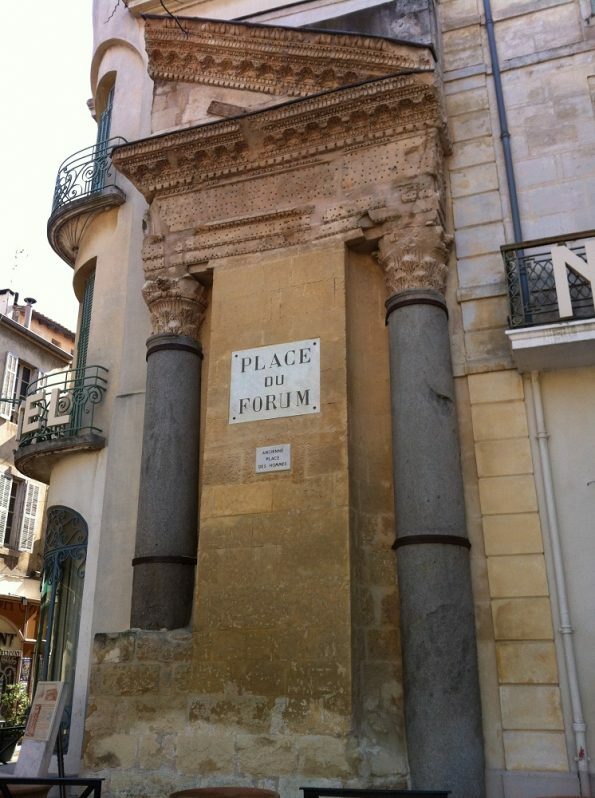 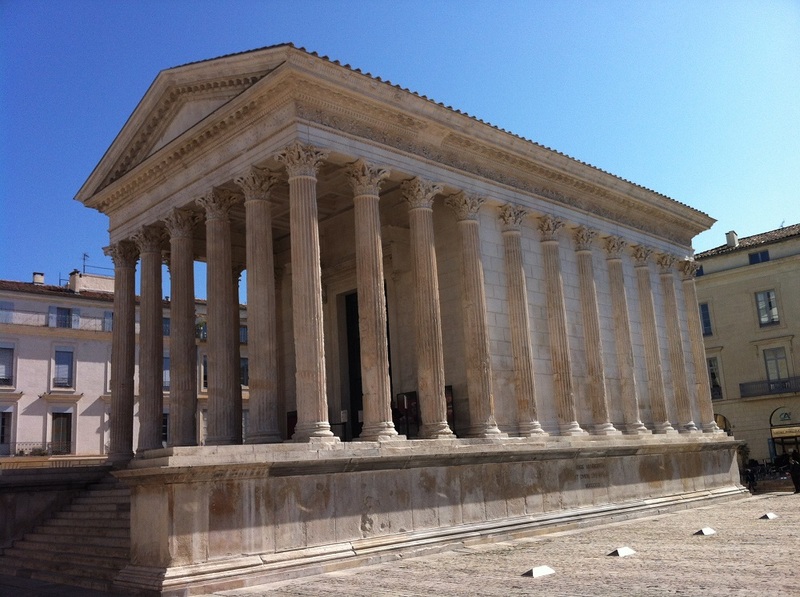 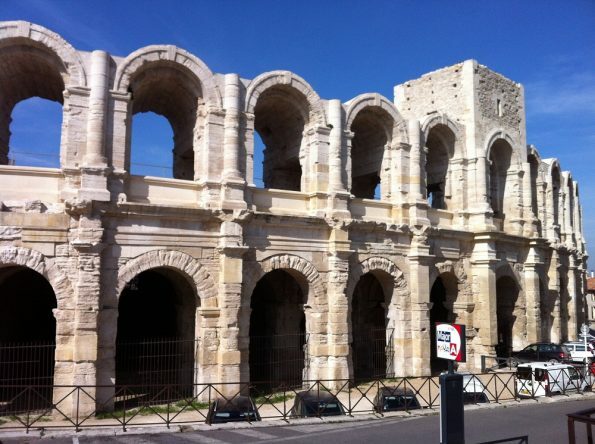 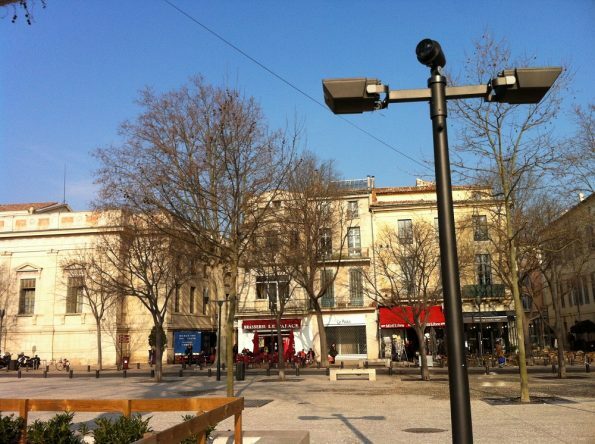 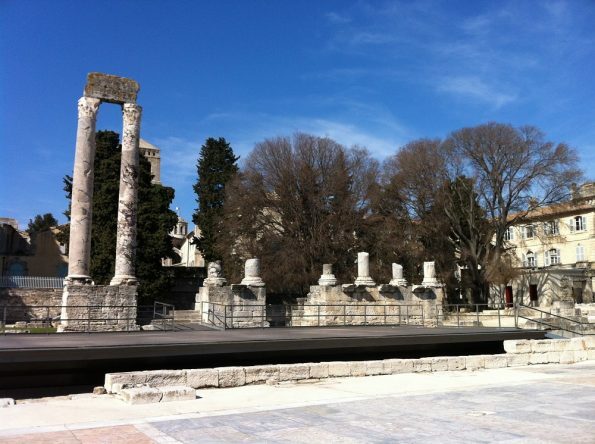 There are two very pretty Roman towns in the south of France: Nimes and Arles. 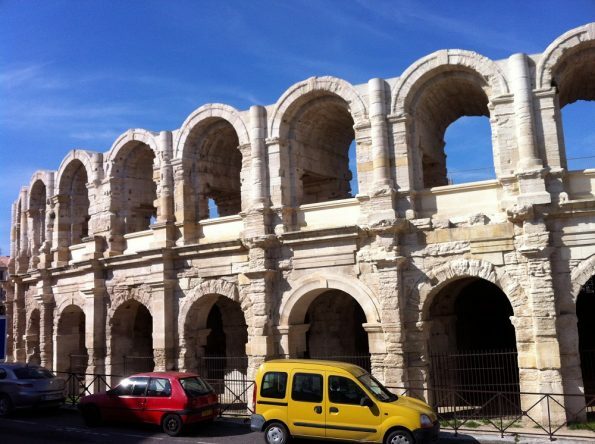 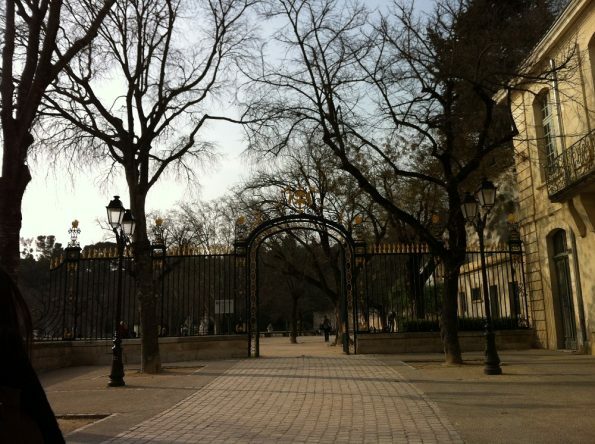 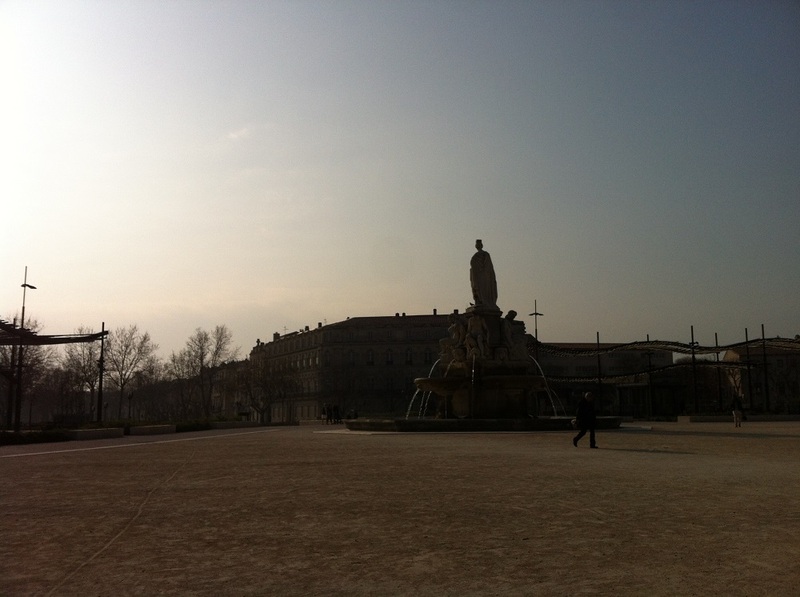 With Ryanair flies direct from London, Nimes Airport is very easy to reach. 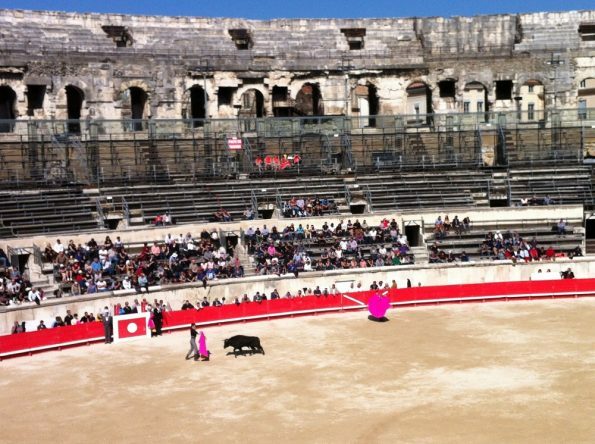 Nimes is a historic city with very impressive Roman remains such as a Roman amphitheatre, a Roman temple, and a Roman tower. One certainly cannot imagine living close to the amphitheatre. 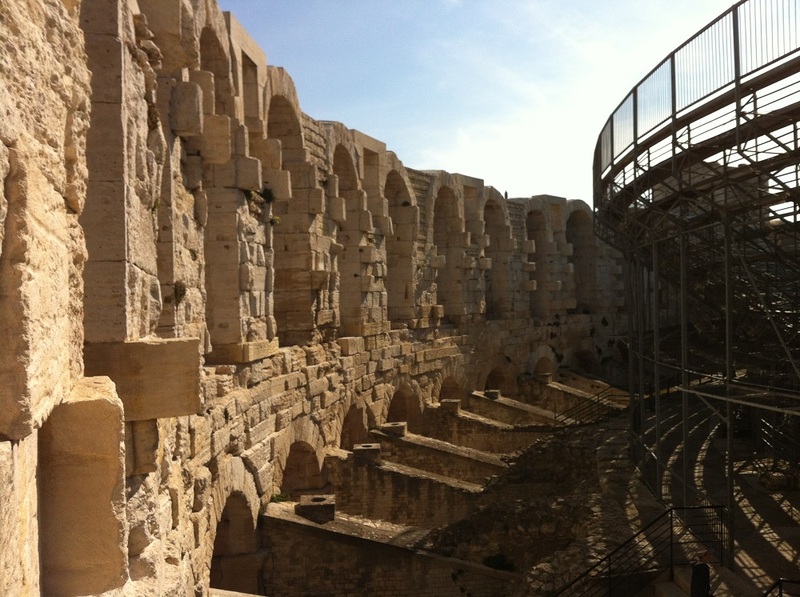 Here in AD 70 when the Amphitheatre was built. 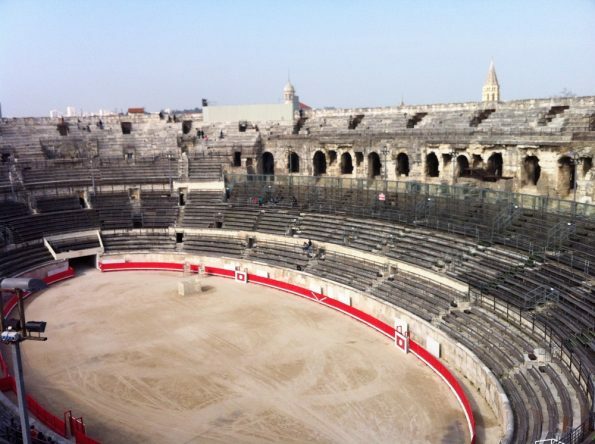 Not quite sure who was the Emperor who ordered to build this magnificent arena. 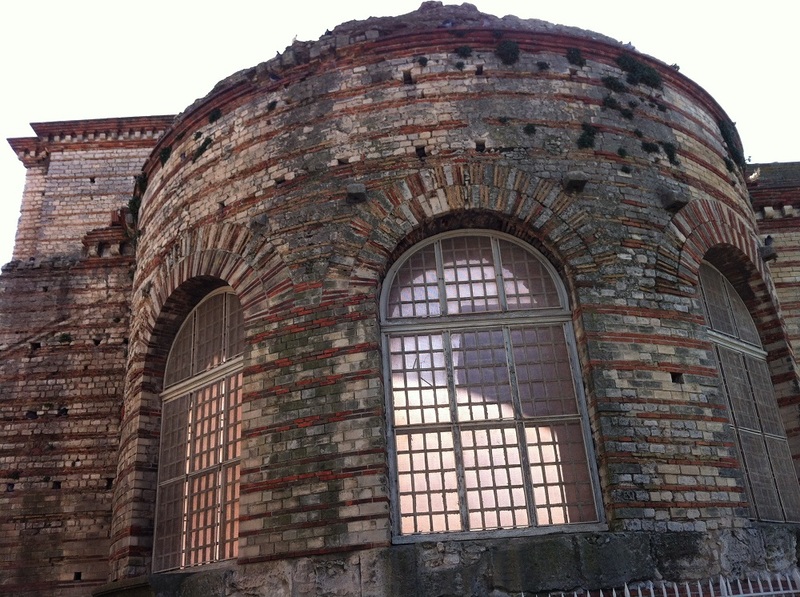 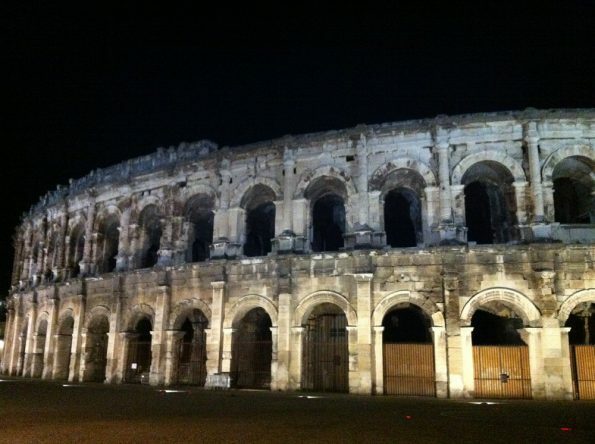 They called it a perfect example of Roman engineering as it requires precision to construct such a man-made building. 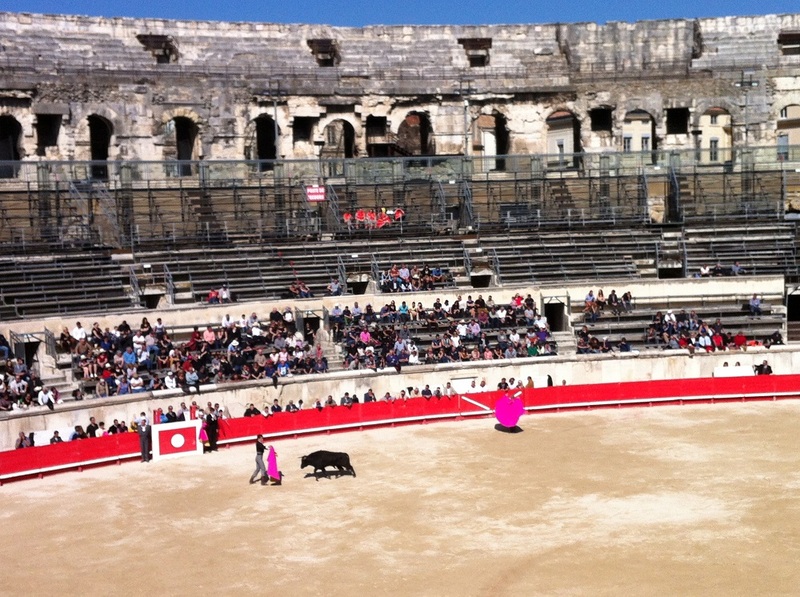 When I was there (sadly) I watched a glimpse of bull-fighting. 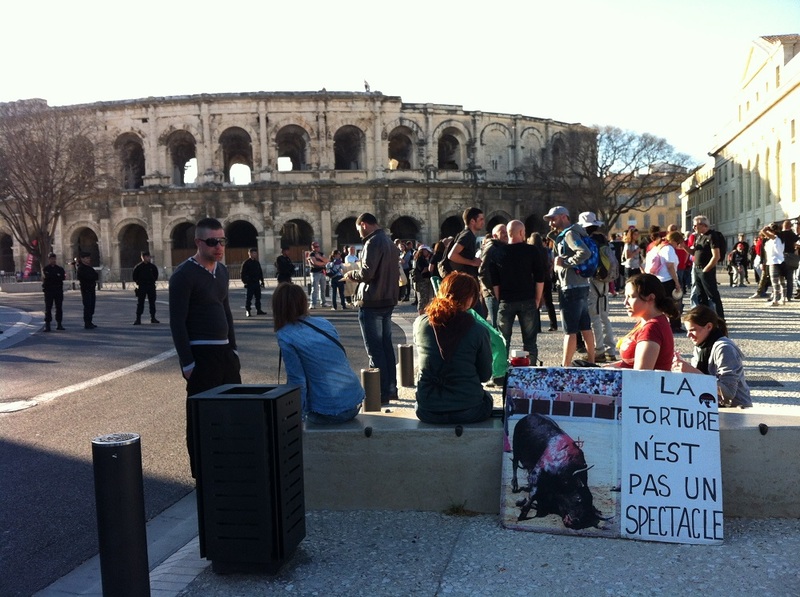 Where the protesters were (on another day) gathered outside. 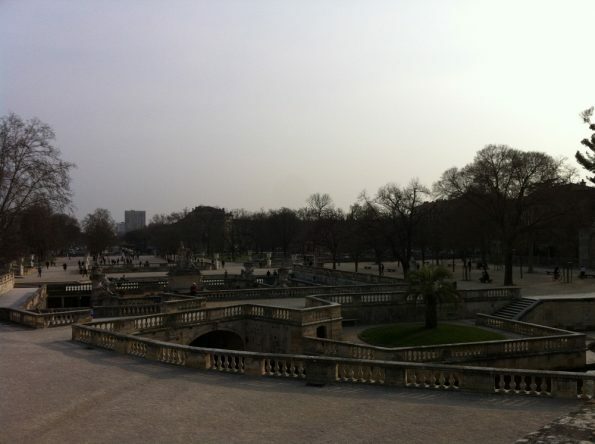 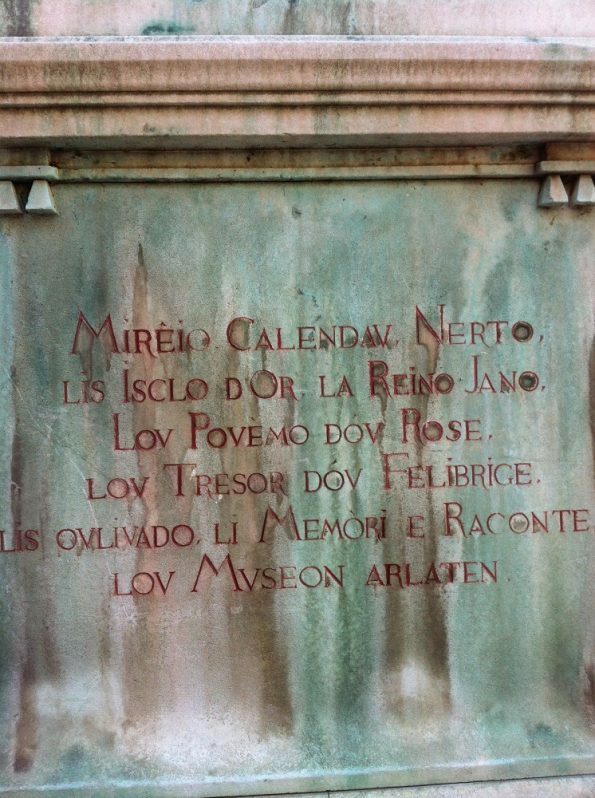 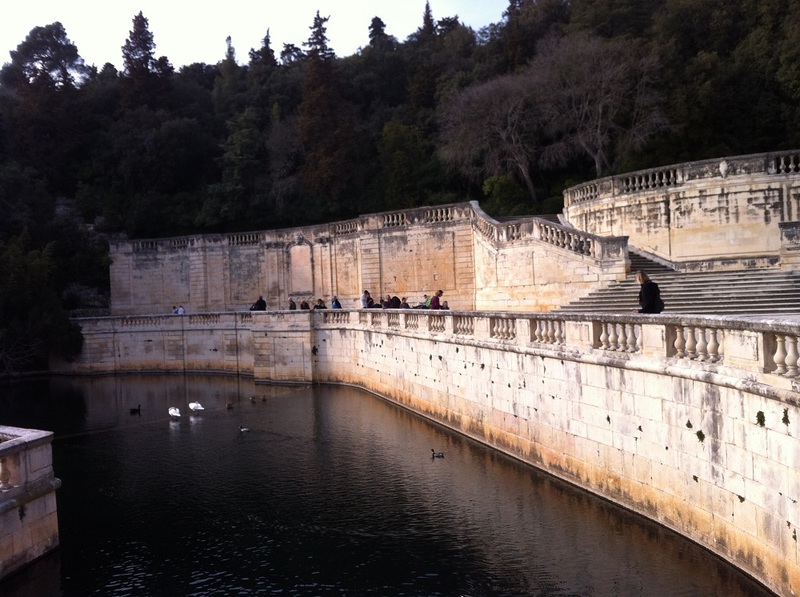 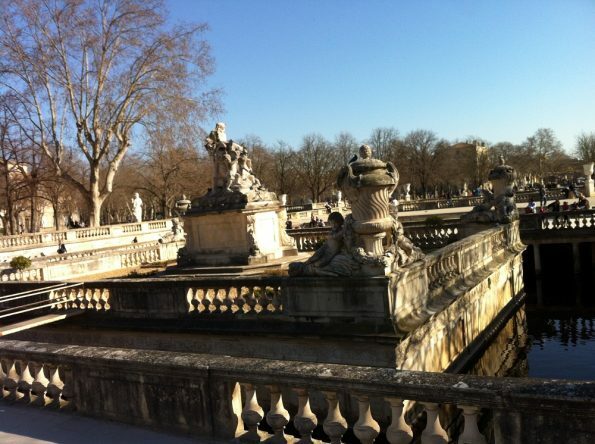 Nimes also has a pretty fountain park where it is called Les Jardins de la Fontaine. 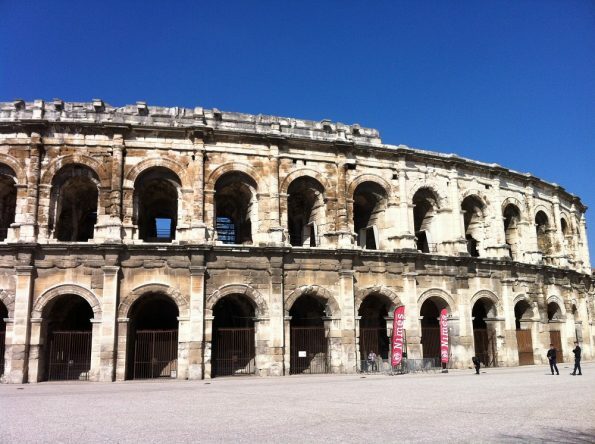 It is quite in a grand scale as it is huge! 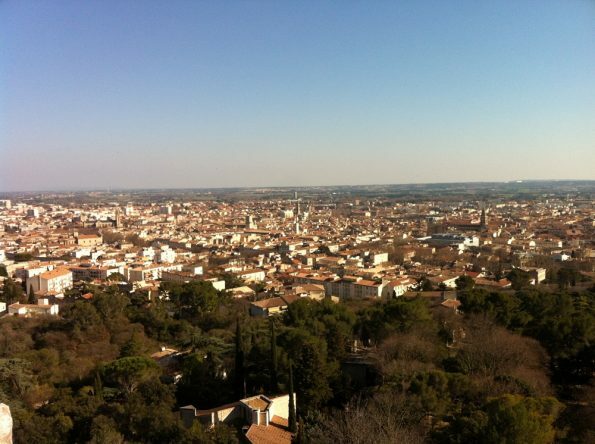 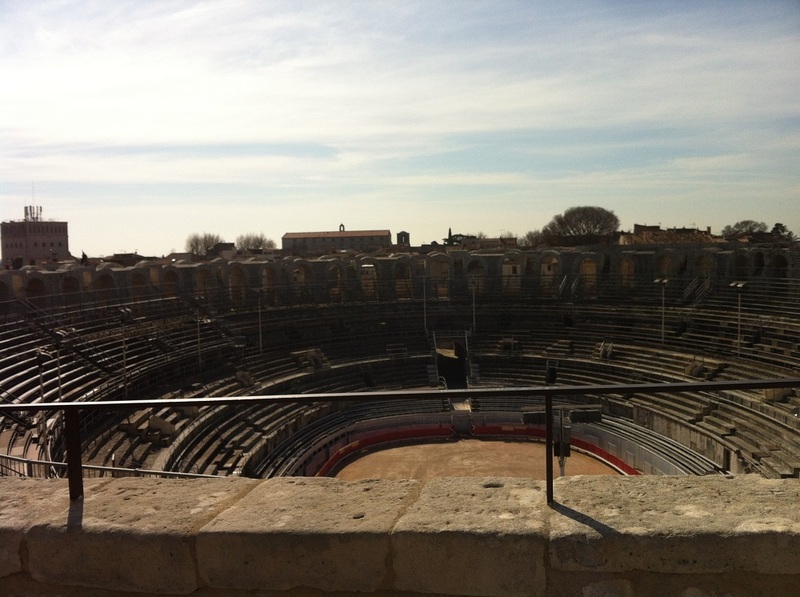 Below is the view of the entire Nimes city from Tour Magne (a Roman Tower). 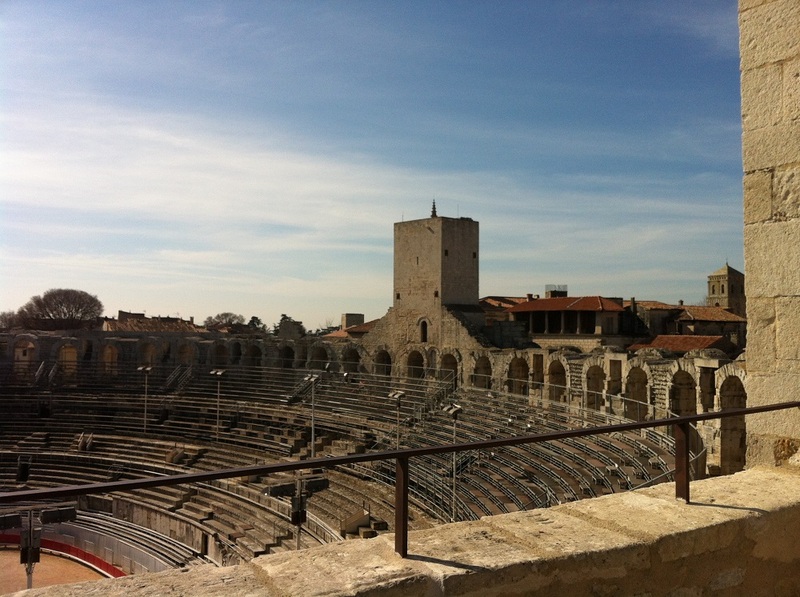 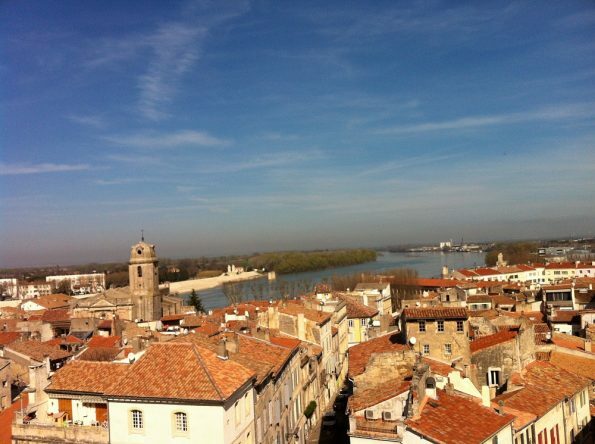 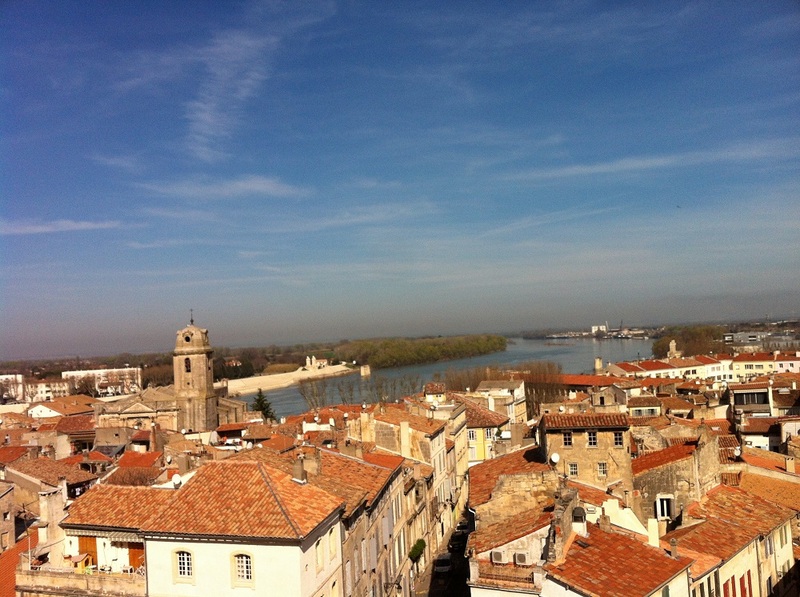 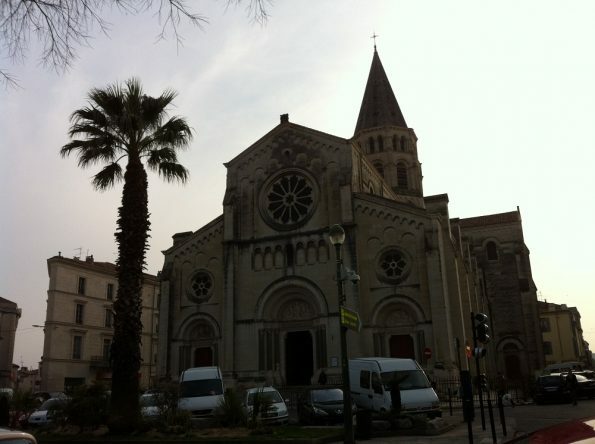 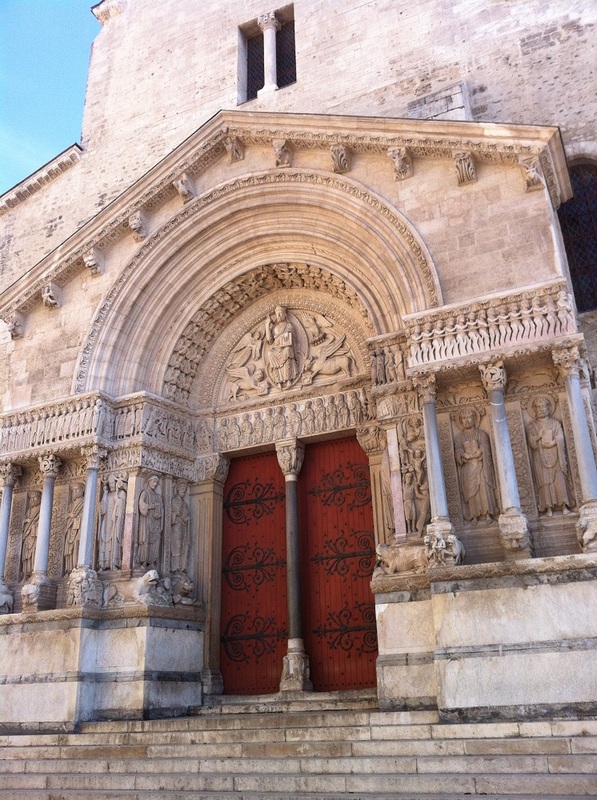 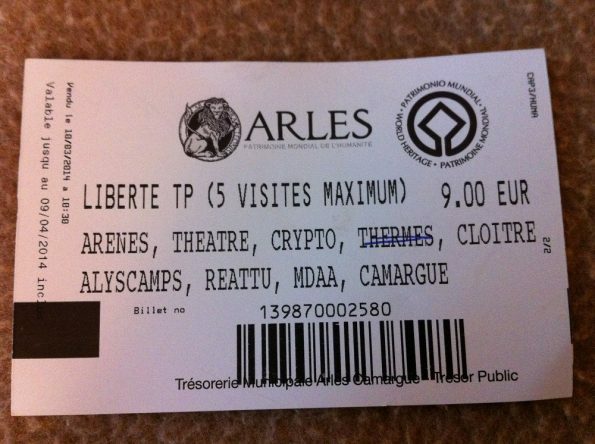 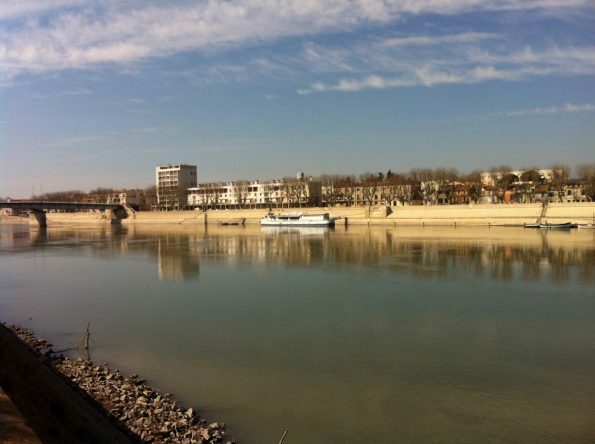 Not far from Nimes, about an hour train journey, there is an impressive Roman city of Arles. 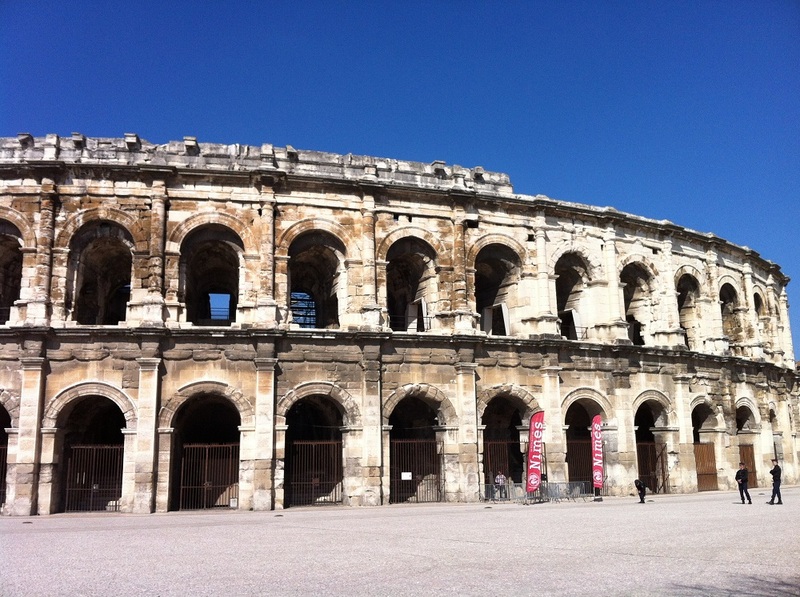 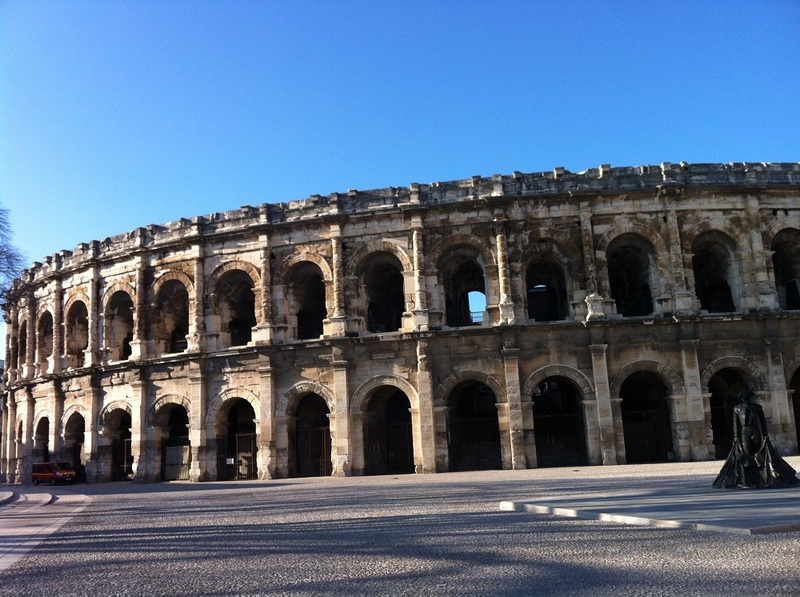 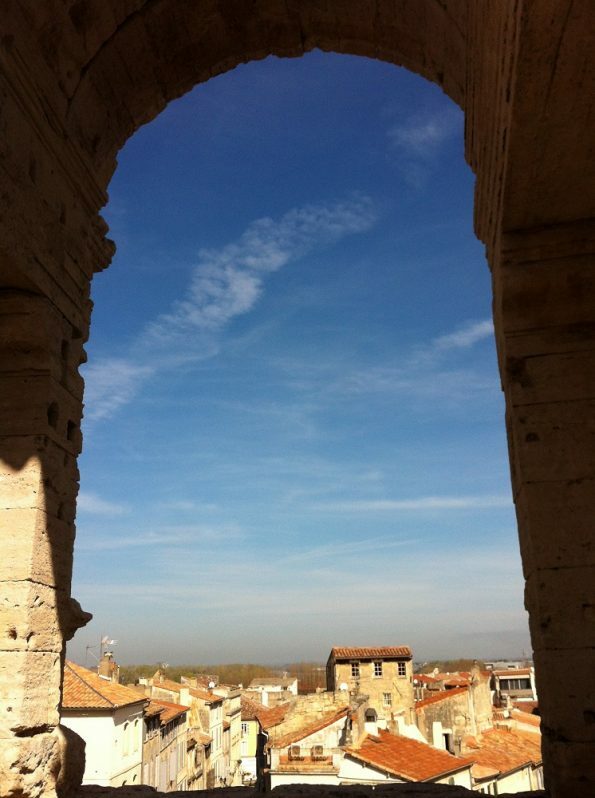 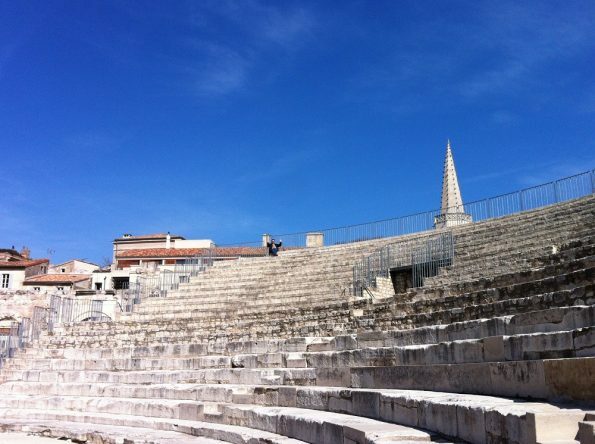 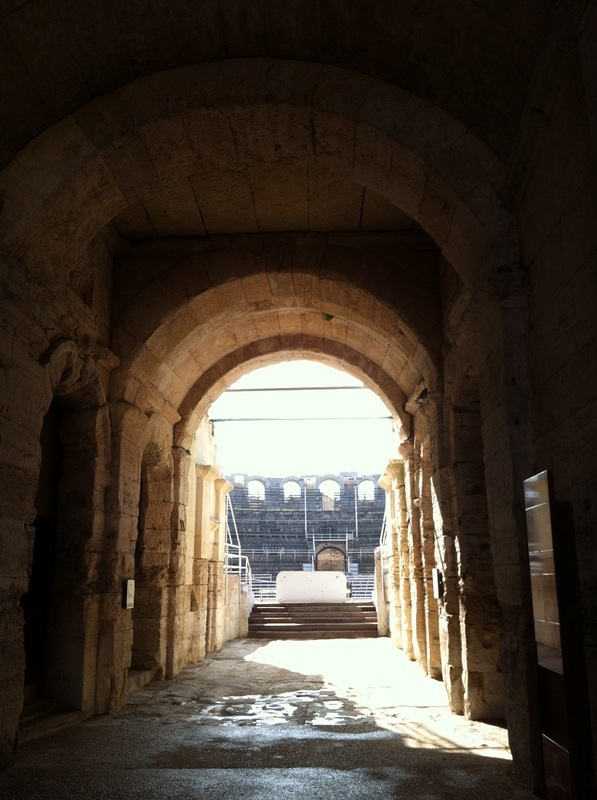 The Arles Roman amphitheatre is located bang in the middle of the city. 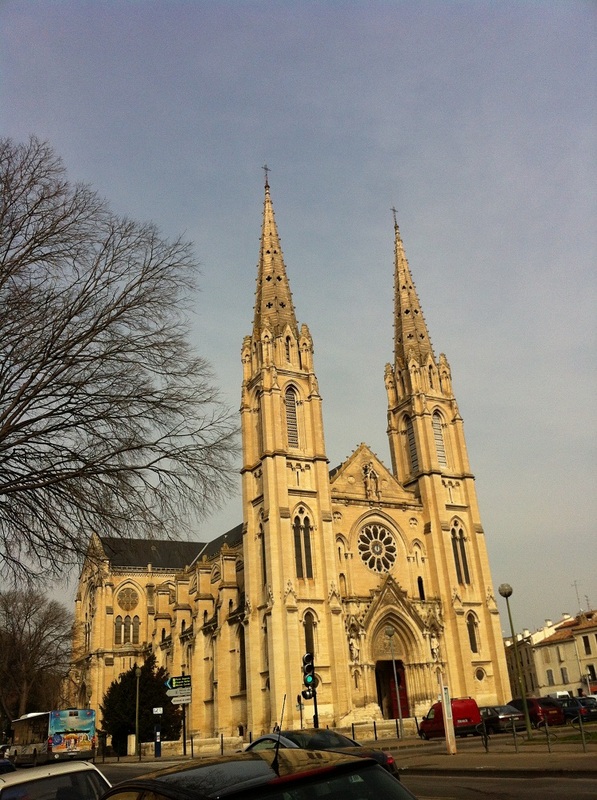 It is in quite a residential area. Can you imagine if you live just next door to the amphitheatre? It was built in 90 AD, not sure during whose Emperor reign. 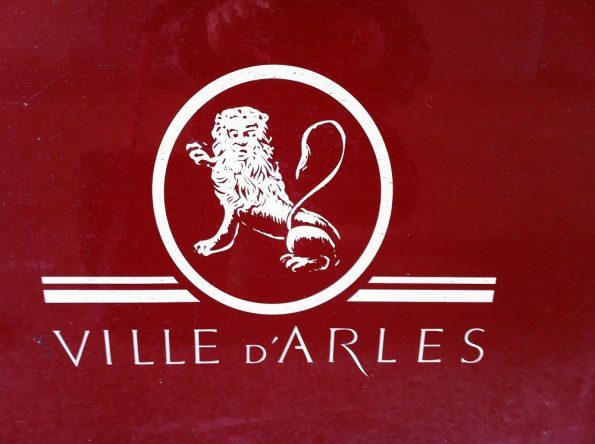 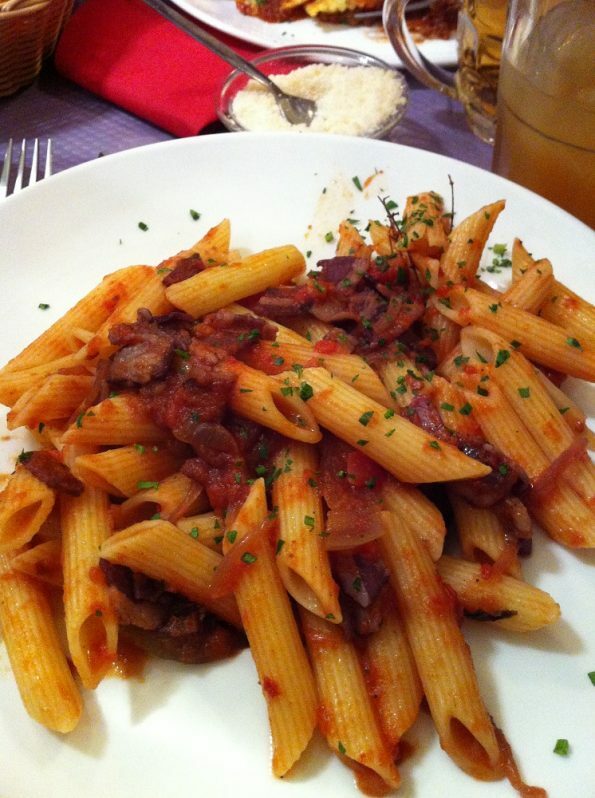 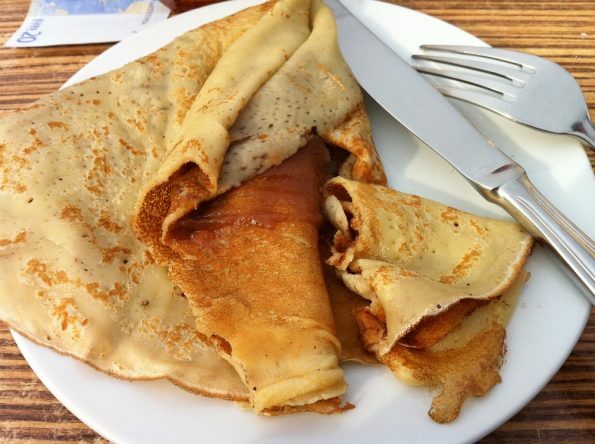 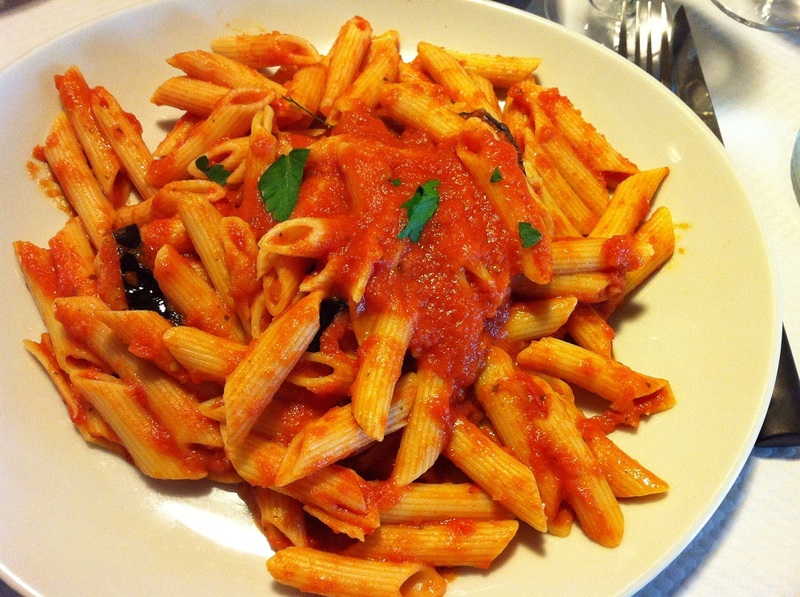 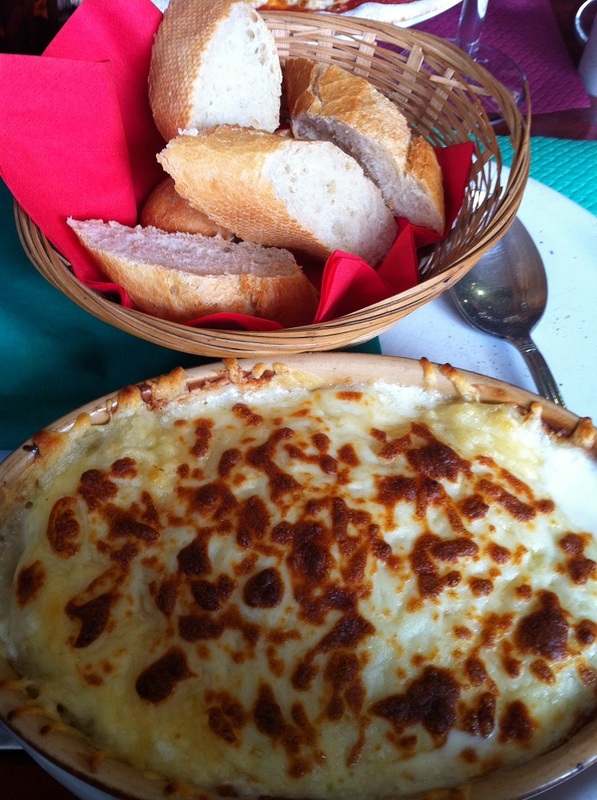 I found a delicious place to eat in Arles. 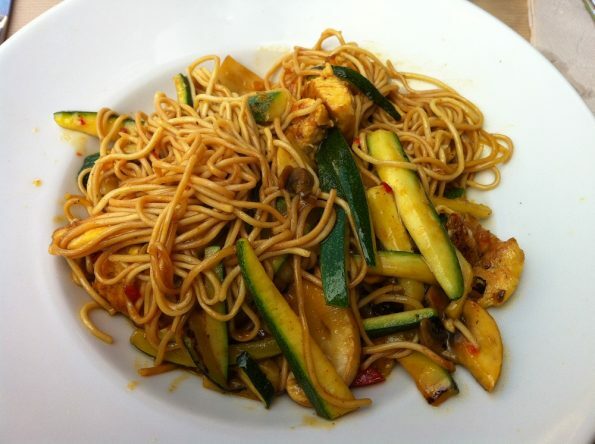 I think this is in one of the restaurants in Place du Forum, apparently it served chow mein.